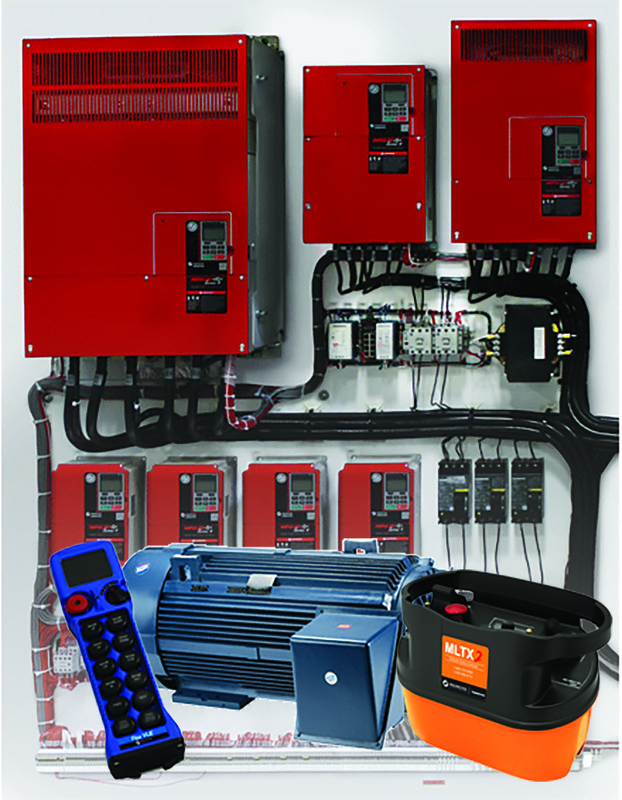 Magnetek is the premier provider of innovative power control and delivery systems and solutions for the material handling industry. Pioneering the use of adjustable frequency and wireless controls on overhead cranes, we offer customers more years of application experience than any company in the industry! With over 200,000 adjustable frequency drives, 160,000 radio remote controls, 330,000 pendant stations and 21,000 brakes working in the field, we have a proven track record in industries such as: aerospace, automotive, steel, aluminum, paper, logging, mining, ship loading, nuclear power plants, work boats, locomotive yards, the grain industry and more. We provide turnkey solutions, innovative system design, state-of-the-art manufacturing, and technical engineering and application support that’s second to none. Along with industry-leading brands, at Magnetek we understand your tough technical and application issues and tight timelines. By providing you with the best quality products, service and complete system solutions, we offer you our unwavering dedication—dedication that will help you maximize the performance and productivity of your material handling system.